When an organization makes the tough economic decision to lay off employees, any assistance the company provides is appreciated. A severance package that covers two weeks or more of pay for each year that an employee worked and continuation of benefits for a period of time are the most common severance package components. Outplacement is a rapidly growing component of a severance agreement that is intended to help employees find work following a layoff or job loss. The services are contracted for by the employer who is laying off employees. People can pay for outplacement themselves, but it is a bonus when provided by an employer as part of a severance agreement. Whether outplacement is effective in helping employees find jobs more quickly can depend on specific circumstances. Outplacement normally consists of individual or group career counseling and advising. 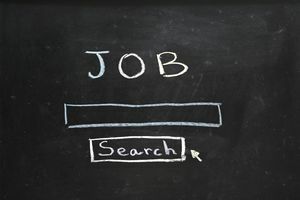 Since many laid-off employees can be unfamiliar with current job searching techniques if they haven't sought employment in a long time, training in job searching is provided. Outplacement firms help develop resumes and cover letters and even apply for jobs for individuals. Outplacement firms also provide job leads and follow-up counseling and advice. Outplacement firms supply offices for job searching employees in some agreements and group training in all aspects of job searching and career transition. Increasingly, interactive outplacement services are becoming available online, so an employee does not need to travel to see his or her career coach. Additional outplacement services are provided over the phone, by instant message, and even texting. Often, outplacement isn't about directly finding new employment. For employees who may have been laid off because they have skills or experiences that are outdated in the workplace, outplacement often focuses on identifying ways to translate those skills to the current workplace or to find a new career path and relevant training. Employers of choice provide outplacement services because they are constantly aware of the impact of their actions on current and prospective employees. Pragmatically, employers offer outplacement to protect their reputations as desirable employers, to head off potential lawsuits and, in the instance where a lawsuit is filed, look like good guys, and to minimize their liability for unemployment compensation payments. Dr. David Sirota, founder and chairman emeritus of Sirota Consulting, has studied workplace behaviors and performance throughout his career. He says the most effective and humane layoffs provide financial assistance, outplacement assistance, and communications. Employers can use outplacement effectively to help employees bridge the gap between unemployment and a new job. The key is to utilize an outplacement firm that provides effective services for former employees. Employers are advised to measure and track the effectiveness of the outplacement firm they use and to gather the opinions and experience of former employees who utilized the outplacement service. Career coaches at outplacement firms might be assigned to several participants, limiting one-on-one attention, and for professionals with a lot of experience, the advice received can seem trivial and not very helpful. Resumes and cover letters that outplacement firms develop may be based on standard boilerplates and not stand out, especially when a candidate is competing with other clients of the same outplacement firm for the same job.